Precise transport design in functional nanopores requires control of interface phenomena such as charge density, wetting and ligand binding. 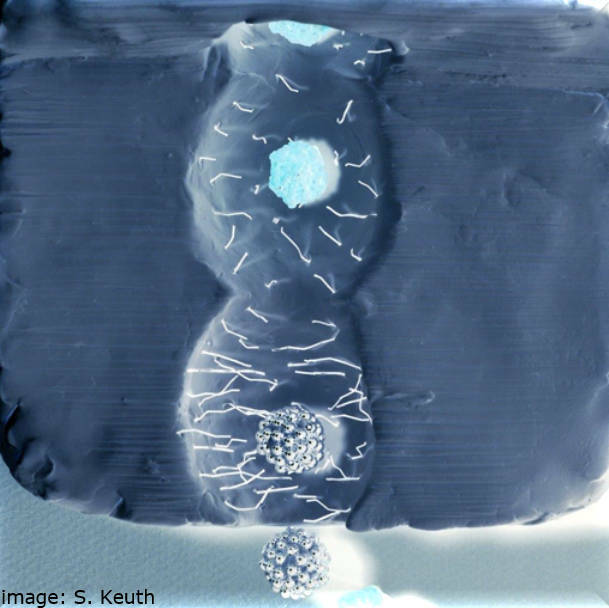 Key elements to this are the precise and independent design of nanopore structure and functional placement, a rational design of membrane architecture and composition, as well as the development of ideally automated synthetic procedures with nanolocal control. We are currently working on projects related to nanopore and membrane architecture design, nanopore functionalization with the aim to design to date unachieved transport phenomena and with this advance understanding and technological applications such as sensing or enzyme stabilization. Results from our research is constantly made available in publications. Please have a look at our recent results. Our research interests focuses on nanopore design to program bioinspired and adaptive transport. (Polymer) functionalization of spatially confined nanopores, nanopore wetting and charge control, innovative nanoporous material architecture design as well as automated design procedures are the key elements for this research. Based on this expertise we develop model systems, and solve challenges in the context of water management, energy conversion and monitoring. Our long term vision is to close the performance gap of transport control abilities between natural and technological nanopores / membranes allowing gated, selective, directed and active transport in three dimensional complex hierarchical systems.